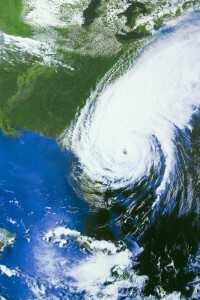 Tropical storm Bonnie was the second Atlantic tropical storm of the 2010 Florida hurricane season. Anticipated to be one of the worst hurricane seasons ever on record, the 2010 season kicked off early with Hurricane Alex. Alex narrowly missed Texas and made landfall in Mexico just south of the border, causing flooding and evacuations. While Floridians may have been lucky so far the odds and predictions are high that either or both of Florida’s coasts will suffer the brunt of one or possibly multiple major hurricanes this year. Early in July there was a tropical wave that emerged from Africa. While passing the Lesser Antilles this tropical wave showed signs of development on July 17th. As it organized it’s self over a few days and continued to move west, northwest the National Hurricane Center classified it as Tropical Depression. The same afternoon the National Hurricane Center upgraded it to tropical storm classification, naming it Bonnie, the second named storm of the season. On July 23rd in the morning Bonnie made landfall on Florida’s southeast coast at Cutler Bay in south Miami-Dade County. Moving across the state and into the Gulf of Mexico it was downgraded to only a tropical depression. The NHC then said that Bonnie had dissipated, though the remnants of the tropical storm continued and moved on shore hitting Louisiana and Mississippi in the morning on July 25th. Severe tornado and thunderstorm warnings were issued in the area. Before being recognized as a tropical depression, Bonnie had dropped significant rain on Puerto Rico and Hispanola creating large scale flooding. Puerto Rico saw one dead due to drowning from the floods and the Dominican Republic issued a mandatory evacuation for around 6,500 residents. Dominican Republic officials said that it received more than 4 inches of rain which resulted in the collapse of bridges, isolating several towns. Haiti also reported flooding and on July 22nd Governor Bobby Jindal of Louisiana declared a state of emergency. The next tropical storm of the 2010 hurricane season will be named Colin followed by Danielle. The core of the hurricane season is yet to come with the worst months historically being August and September. With over 20 storms expected this season, many of which predicted to become hurricanes those in Florida who have not yet made plans and prepared themselves for the worst must act quickly to ready themselves. Even the lowest predictions from experts at NOAA (the National Oceanic Atmospheric Administration) and Colorado State University expect at least 8 actual hurricanes and 4 to 7 major hurricanes. With the trend on the up for more active hurricane seasons sharply increasing since 2004 Florida residents should certainly now know there is no room for complacency. What exactly is in store over the next few years is uncertain, Though we should start seeing forecasts and predictions for 2011 by CSU and the NOAA being released by December.